Michael Walters returns after earning RAVES from his previous sold-out performances as the irrepressible DAME EDNA. The Dame closes the 801 Supper Club 2019 series with an ALL-NEW SHOW. He's witty, he's hysterical, he's irreverent, he's "Don Rickles" in a purple wig and can he ever sing! Renowned vocalist and actor Michael L. Walters takes the stage by storm in a unique, loving, and critically acclaimed parody of Dame Edna's fabulous Broadway shows! This fun-filled evening of glamour, music, and side-splitting laughter features incredible glittering gowns, outrageous comedy, original musical numbers, and of course a floral finale with Edna's signature gladioli! 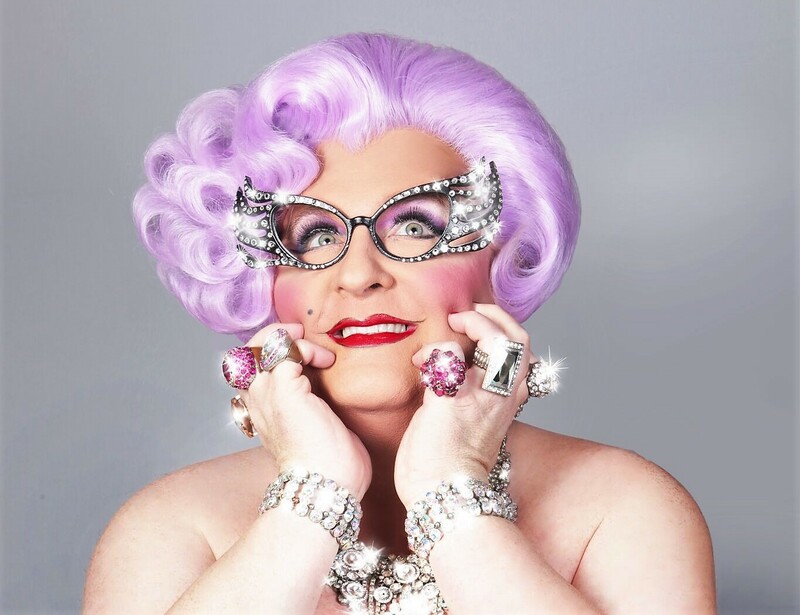 Walters has been hailed as "SPECTACULAR" by Dame Edna's original creator Barry Humphries, so get your tickets today! Michael Walters' Dame Edna show is an immersive experience. The audience is her co-star and it's never the same twice. People don't always believe him when he says, "When I step out on stage as Edna, I only have a general idea of how the evening will go. Everything else is up to the audience. That's not something you get from most shows and I hope people find it as exhilarating as I do!" According to Walters, "People love Dame Edna because she says what everyone in the room is thinking, but is too afraid to say. She reminds us that it's okay to laugh at ourselves and each other because we're all the same. We all have flaws and troubles. Dame Edna doesn't like hyper-sensitivity. The more we can take it easy and have a good chuckle, the better off we'll be. Essentially, Dame Edna is your Maiden Aunt at the family reunion. She doesn't care what anyone thinks!" Don't miss this laugh a minute evening of Comedy & Song with this Dame Edna Extravaganza!